Steve McQueen - eat your heart out! MGA??? - I cant recall every British sports car... though easier of late, since we havent made many since the 1960s. I can see how you would call this an MGA. My dad had one, though not a black one but a blue/green one. Looks almost identical except the tail lights were more out on the fenders and there were no amber lights. Maybe they had the same body maker? The thing I remember most is my dad having the valves ground every 6 months or so. Half the time he would do it himself which is not easy since you have to remove the head. Otherwise he sent it to a local shop. It was a lot of fun car to ride around in. Lost skills from an era of beauty for sure, but also an era when what didn't leak oil or smoke ended up rusting and falling off. I actually trying to think what mechanics you'll actually need in a future of EVs... not so much. Brakes and suspension and plastic trim removal and replacement... thats kind of it. 3,376 on the road, and 1,004 SORN (off the road). I guess most are probably frog-eyes? Ive seen those figures about the IMIEV in the UK, and all I can think of is that the database is riddled with inaccuracy - though I was led to beleive it runs off DVLA data, in no way can I accept there are 10 times the number of Austin Healeys in the UK as there are Mitsubishi IMIEVs... and if it's true then they sold a load less that I am led to believe. I see at least 10 commonly in use in London of the I or clone varieties, usually while commuting in to the centre of London on the scooter - and ive seen about another 20 or so elsewhere around here... so I can believe it. It means that between me and my parents, we have about 1% of the UK IMIEV fleet (2 cars), which sounds impossible. I am yet to see an Austin Healey during my commute, though I do see a Daimler Dart driven by an old boy in Camden from time to time. phb10186 wrote: Lost skills from an era of beauty for sure, but also an era when what didn't leak oil or smoke ended up rusting and falling off. 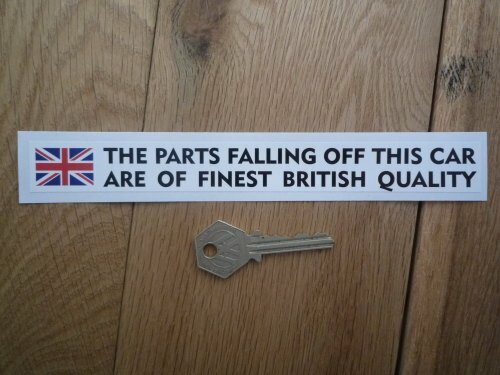 To be fair, looking after a classic car is really easy. All you have to do is take the whole thing apart piece by piece, take all the paint off the body, cut out all the rust and replace with new steel, galvanize it, re-paint it, under-seal it and then put everything back in the reverse order to how it came out. And while you're doing that, you may as well upgrade or replace 90% of it. On an IMIEV note... I have seen several of the ICE cars for sale (07 and 08 years mostly) in the UK with bad rust on the rear arches... so I now take special care to clean that area, and I under-sealed the entire car over the summer. phb10186 wrote: Ive seen those figures about the IMIEV in the UK, and all I can think of is that the database is riddled with inaccuracy - though I was led to beleive it runs off DVLA data, in no way can I accept there are 10 times the number of Austin Healeys in the UK as there are Mitsubishi IMIEVs... and if it's true then they sold a load less that I am led to believe. I see at least 10 commonly in use in London of the I or clone varieties, usually while commuting in to the centre of London on the scooter - and ive seen about another 20 or so elsewhere around here... so I can believe it. It means that between me and my parents, we have about 1% of the UK IMIEV fleet (2 cars), which sounds impossible. The Austin Healey figure does sound stupidly high to me too, and yes, the consistency of the data in that database is annoyingly poor. Re. the i-MiEV and clones - I think where you live - London? - may skew the distribution, due to the congestion charge, plus them being a good 'city car' due to turning circle and size. I also see a lot (of clones) down here, and I attribute that to a dealer basically offering as many as they could get hold of from PSA for 1/2 list price. I have only seen one i-MiEV down here, and I'm pretty sure it was visiting (out of county number plates). Not as many as you may think actually... Loads of PHEVs, Leafs, Zoe and I3s, and many many Teslas now. Funny thing in London is that OK, you get the Congestion Tax free, but you don't get parking discounted in any way other than in Westminster, but they only give you about 4 hours max - so that effectively prevents you commuting in (unless you have your own space - very rare). All motorbikes are both congestion charge free, and free to park in motorbike bays, so in effect the perks on a bike outweigh even an EV (unless it's raining)... so actually, not as many EV perks as they planned. Since I live 13 miles from the city, that commute by car would take 1.5hrs, so it's not feasible anyway unless I were to leave home extremely early to beat the traffic. I think they are going towards banning cars that arent PHEV or BEV from central London... many many buses are now EVs, and to be fair, anything that improves the air quality gets my vote, as it's currently disgusting. Funnily enough, I saw 2 IMIEV clones today about 50m apart in Sheffield city centre, while I was up there for work. There's absolutely nothing nice about driving in London these days, so for me, anything that gives me a competitive advantage in terms of space is great, so actually the IMIEV makes a near perfect 2nd car for all the rubbish journeys I do, where my old ICE cars were effectively warming up or in traffic about 50% of the time... I also don't get nearly as bothered by traffic in the EV, as its more or less off. They may have just bought them from elsewhere...I don't think i've ever had a car with London plate designations... I bought the IMIEV from the Sussex coast and got it home 90 miles on that inaugural trip without charging, by being exceptionally careful. phb10186 wrote: I bought the IMIEV from the Sussex coast and got it home 90 miles on that inaugural trip without charging, by being exceptionally careful.